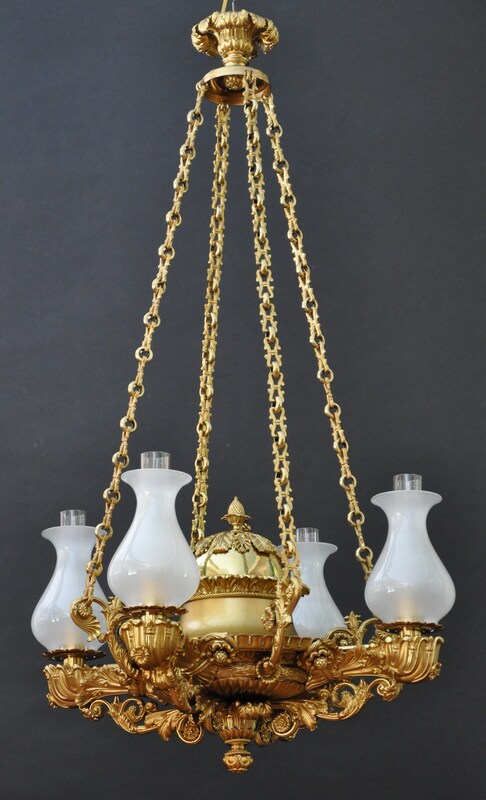 This Regency four-light suspended argand is designed in the French taste. 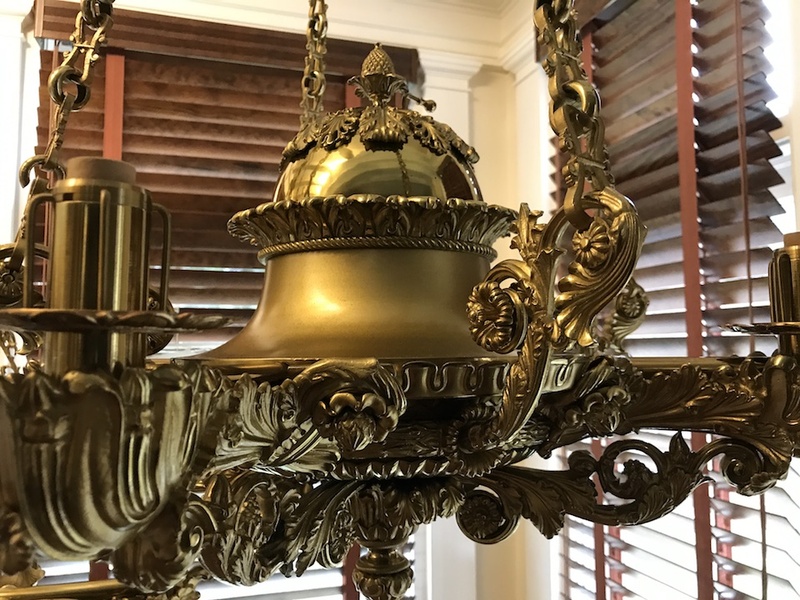 This exquisite four-light suspended argand conceals the font under a domed cover. 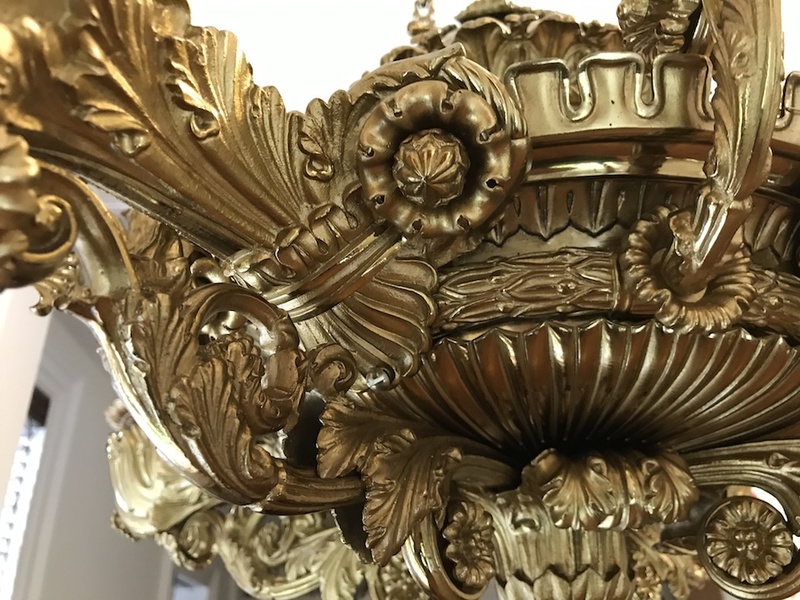 In a beautiful two-tone gilt lacquered finish, the chandelier incorporates one of the most complex designs in terms of the amount of detail in the decoration. 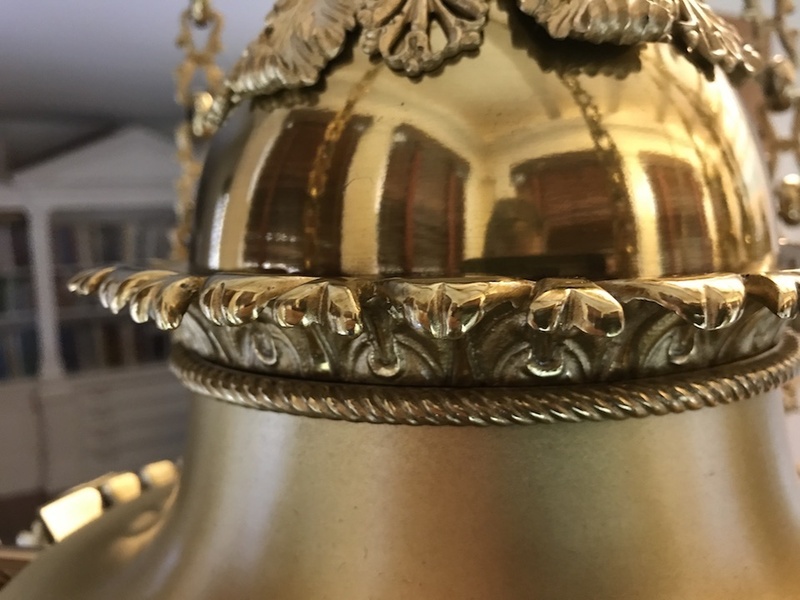 Beneath the cover, the inside rim is engraved: BY JOHNSTON BROOKES & Co, 32 New Street Square, LONDON. PUBLISH’D, SEPr 8th 1820.